The best word to describe my feelings towards this movie is…conflicted. I have days where I absolutely love this movie and would rather watch it than The Dark Knight; I have days where I absolutely despise it and would rather watch paint dry. The legend that is The Dark Knight Trilogy ends but I think it could have been handled more masterfully. Okay, basic plot: It’s been eight years since the last official sighting of The Batman. Batman has taken blame for Harvey Dent’s appalling killings from the last movie to keep the image of Dent pure and one that the city can rally behind. Under this lie Gotham has prospered with organised crime being a thing of the past. Bruce Wayne has locked himself away from the world unable to move on with his life sans Batman. When a masked mercenary named Bane comes to the city and threatens to disrupt this fragile peace, Bruce Wayne must once again don the cape and cowl to defeat Gotham’s latest threat. But Bane is not all that he seems and he brings with him the vengeance of The League of Shadows. If you look at this movie’s scenes individually they are some of the best in the entire trilogy. The scenes are incredibly crafted with a combination of brilliant acting, skillful writing and an ever-present emotional poignancy that makes every scene memorable. The problem arises when you look at this movie as a whole and realise that these amazing, individual scenes don’t make for a congruent or cohesive story. This movie lacks consistency in almost every aspect but most noticeably in its pacing. The first hour of the movie takes place over a week or so, the next hour over five months. You never get a chance to get your bearings because you’re not sure how much time is passing between scenes or if scenes are happening at the same time in relation to each other. There’s also a lack of consistency in the style of the storytelling. Listening to interviews with Christopher Nolan, he wanted to increase the scale of this movie and integrate different styles and genres into this piece, namely, elements of war movies and disaster movies. He succeeds in integrating these facets but they make the movie feel disjointed and lacking a clear identity. 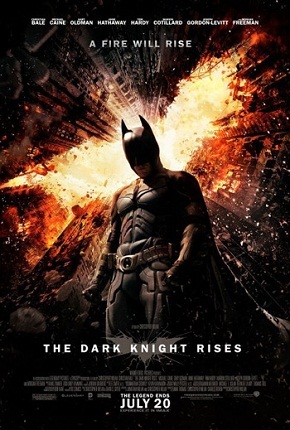 Nolan was reluctant to make this movie because he felt the Batman story had been summed up in The Dark Knight and this movie just feels like a half-assed attempt to get the studio and fans of his back. I watched this movie three times at the cinema but it took me a further four months to truly appreciate this movie’s quality dialogue. This is solely due to the movie’s poor sound editing. Everyone was complaining about not understanding Bane, I was having trouble understanding the entire cast. It’s such a silly mistake to make that I don’t understand how no one corrected it in post-production. This problem was later fixed for the dvd and so on but it was only when I got my hands on the script and read through those scenes that I didn’t understand that I truly realised the quality of this movie’s dialogue. That’s such a basic filmmaking error that I have to hold it against Nolan, even years after the fact. Another problem this movie has is that there are just too many characters. Where the movies before this, chose focused storylines on a handful of characters, this movie thinks that more is more and gives you a crowd of new faces and backstories to assimilate. This movie is bursting at the seams with the number of characters that it has and unfortunately this dilutes the quality of the movie. I like Joseph Gordon-Levitt, I think he’s a great, young talent who’s destined for greatness; but his presence in this movie is so unnecessary that if he wasn’t in this movie, it would literally unfold the same way. His character doesn’t impact the plot but rather reacts to it and, in the end, this makes him pointless. 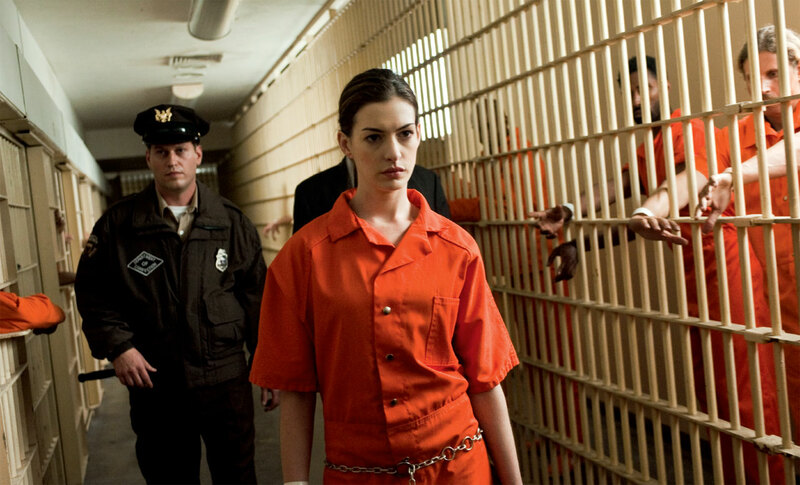 Speaking of pointless characters: Anne Hathaway as Catwoman is an absolute bore. I understand that Christopher Nolan took all the characters from the comics and sifted them through a sieve of reality and used the residual grit to bring these characters to the screen but he left absolutely no fun or sexiness in Selina Kyle. Hathaway is functional as Catwoman but she didn’t raise my pulse or get me hot under the collar which is everything that Catwoman is meant to make you feel. I understand the tone Nolan wanted to create with the character but even Ledger’s Joker had some of the cartoon sensibilities from the comic, so why couldn’t Catwoman have some of the sexiness. It’s a combination of poor casting, poor direction and monotonous acting. Thankfully Halle Berry is still around to take the crown of ‘Worst Catwoman’. This movie also underutilises the characters that built this franchise. I absolutely hated how little we see of Alfred and James Gordon in this movie. They’re relegated to side-characters when their presence and the performances of the actors behind them was a monumental part of the success of this franchise. Moreover, these characters have almost no impact on the film’s plot. Just as with Joseph Gordon-Levitt’s character, if they weren’t there, the movie would follow the same trajectory. Honestly, I don’t know how the Nolan brothers got it so wrong with this one. But hell, this movie isn’t all bad – let’s talk about the mammoth presence that is Tom Hardy’s Bane. From the very first scene, his very first line captures you. “Perhaps he’s wondering why someone would shoot a man, before throwing him out of a plane.” The furiosity, the passion that Hardy was able to express just through his eyes is remarkable. I also loved Bane’s plan and his intent to incite anarchy in Gotham; The Joker wanted to watch the world burn – Bane wants to light the match! It’s such a shame that they neutered Bane at the end of the movie and made him a secondary villain instead of Batman’s main foe. But for everything good I have to say about Bane, I can’t forgot that I couldn’t understand him. I watched this movie three times in theatres and part of the reason why, was because I simply didn’t know what he was saying half the time. 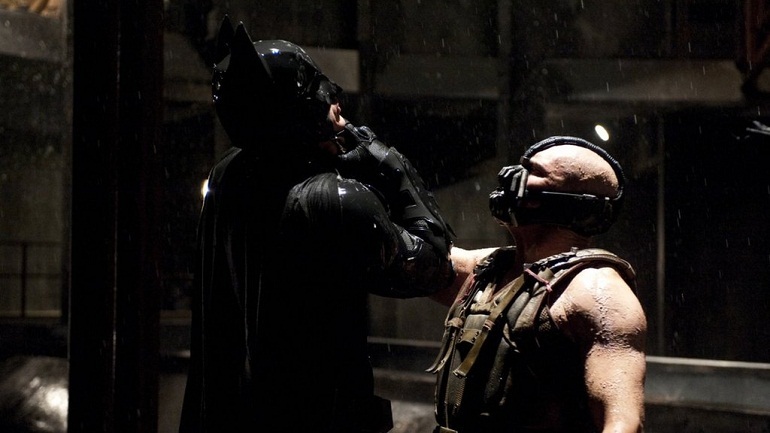 But dialogue aside, Bane is an incredibly imposing villain and a worthy opponent for Batman. That first fight between Batman and Bane had me near tears. The superiority Bane displays and the way he turns Batman’s strengths into weaknesses was unbelievable. Not only does he beat Batman physically and technically with his fighting prowess, he taunts him relentlessly throughout the fight. The moment Bane said, “the shadows betray you because they belong to me” my brain almost exploded. How can you tell Batman – a man whose entire identity is based on his stealth and mastery of the darkness that the shadows don’t belong to him? I still get chills just thinking about the first time I heard that line. Everyone complains about how long it takes Batman to show up in this movie (just over 45 minutes) but I think he shows up a little too quickly. Quickly, not in terms of time elapsed but rather story occurred. Because this movie is trying to introduce all these new characters and give you insight into their stories it neglects Bruce Wayne and his return to Batman feels rushed. 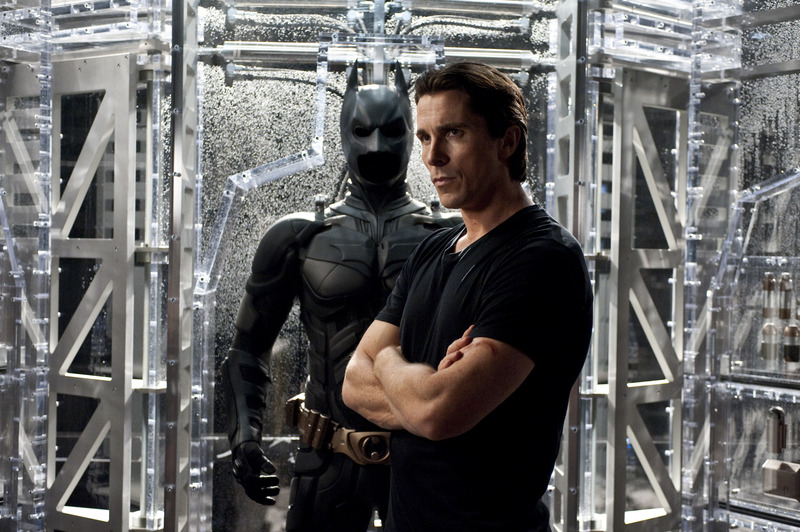 I still think Christian Bale is the best actor to play Batman but his performance in this movie is definitely the worst of the trilogy. He’s lacking an element of commitment to the character that, while constant in the two movies before this, is sorely lacking here. I agree. I felt like this movie had a lot more potential. It didn’t fully develop the themes in which I was most interested. We are in the same boat on this one. To pile on a bit, there are just way too many plotholes. Like you said, it’s not a bad movie. It’s just a really long way from great.